Futura has the ability to create handling and transportation systems for each type of product: bulk, packed in baskets, boxes, crates and pallets. Futura has different types of labelling systems for every kind of packaging: punnets, bags, boxes, plateaus, etc..
We have the right solution for every necessity! Electronic weighing machines are used to divide the product in the chosen amount of weight and then lead it to packaging machines. We have different types of weighing machines, depending on required potentiality and kind of product. This kind of packaging is generally used for potatoes, garlics, onions and chestnuts. 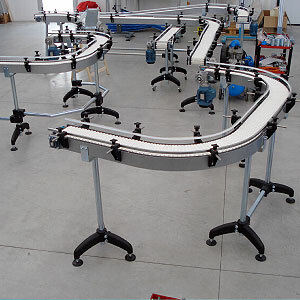 The packaging machine must be feeded automatically by an electronic weighing machine. 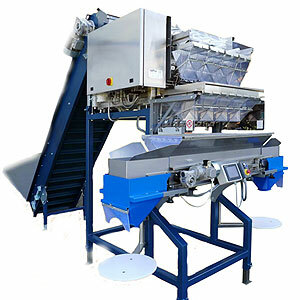 The electronic weighing machine sets amount and weight of product for every sack, the vertical packaging system fills the sack, prints and applies the label.